I am writing this post with a grateful heart for the last few days of my life. I have walked the decks of this massive engineering marvel, listening to amazing music and meeting incredible people, but carrying with me the names of those I love and those who made it possible for me to come. I’ll likely do a reflection post a few days after this whole event is over, but as of now, I feel like a changed man. 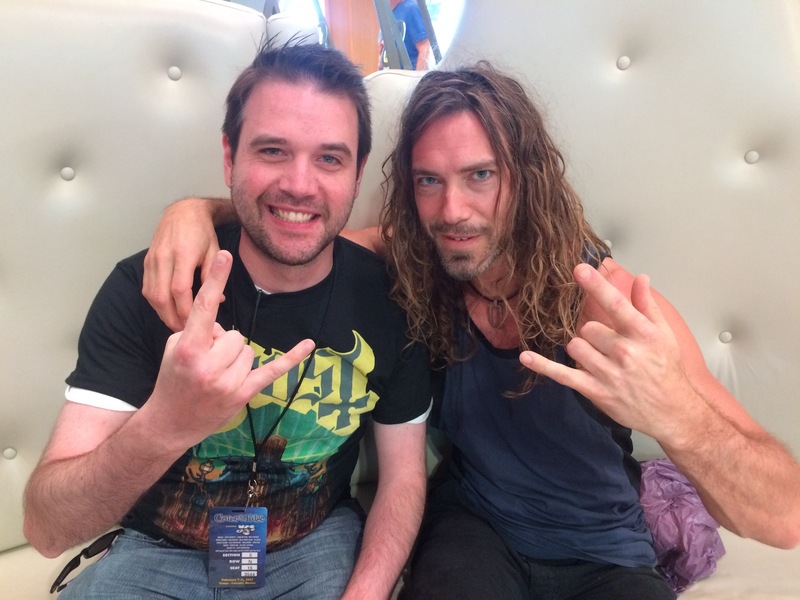 This morning I attended an illuminating Q&A with the gentleman from Pain of Salvation. Pain of Salvation was one of the most formative bands of my teenage years, and I have been following them since The Perfect Element came out. It was pretty great to be able to hear Daniel talk in detail about his craft. 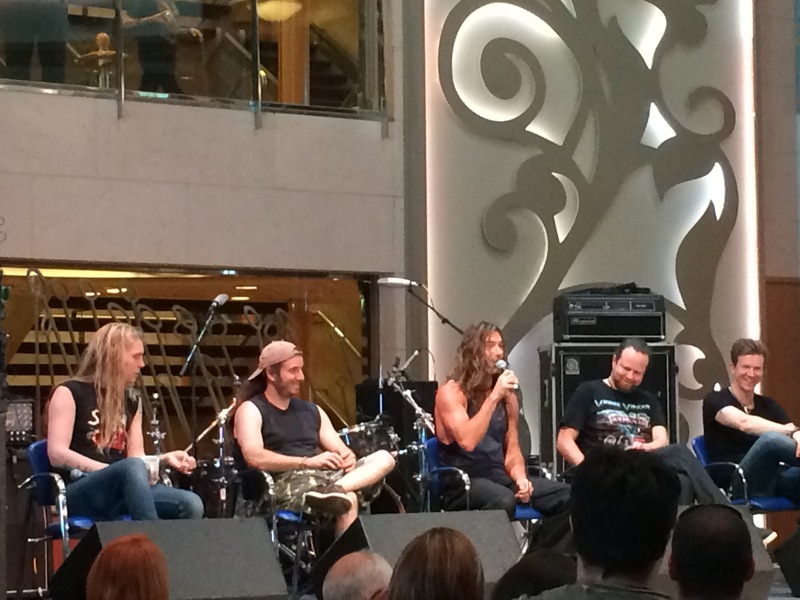 Some observations from the Q&A: One might assume that, because Pain of Salvation’s lyrics are often highly emotional and intense, the guys would be brooding and pretentious. But Daniel and the boys were really jovial and lighthearted, and cracked jokes throughout the session. I learned from the drummer that among is friends, there was a”Beyond the Pale” test for any potential female partners, which is this: play them “Beyond the Pale”, and if they like it, they are the right girl for you. I assume this applies for guys as well. I also learned from Daniel that the best advice he’s ever received is to stomp while you’re playing guitar with your heel instead of your toe so you don’t look stupid. The session was really fun for those present. 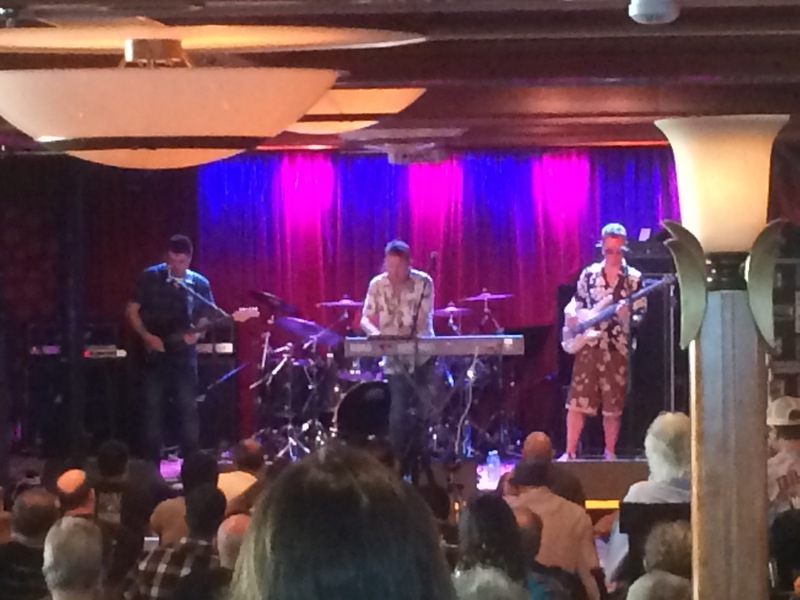 After the session, I headed to the pool stage to see Spock’s Beard play. Jimmy Keegan, their drummer, left a little bit ago, and for this show was replaced by none other than Nick D’Virgilio, the original drummer and second frontman of Spock’s Beard. They did a great set of old and new songs, although they weighed towards the older one. Spock’s Beard started with “On a Perfect Day”, which Nick and Ted both sang in different parts. That was followed by one of my favorite Spock’s Beard songs, “Crack the Big Sky”. They also played “Distance to the Sun”, which was absolutely beautifully gorgeous. The next three, “Walking on the Wind”, “Submerged”, and “Go the Way You Go”, were great blends of both old and new, and Ted Leonard handled the classics with confidence. Having Nick on the drums was a treat. He is immensely talented, both as a musician and a frontman. I’m glad that I got to see Spock’s kill it. 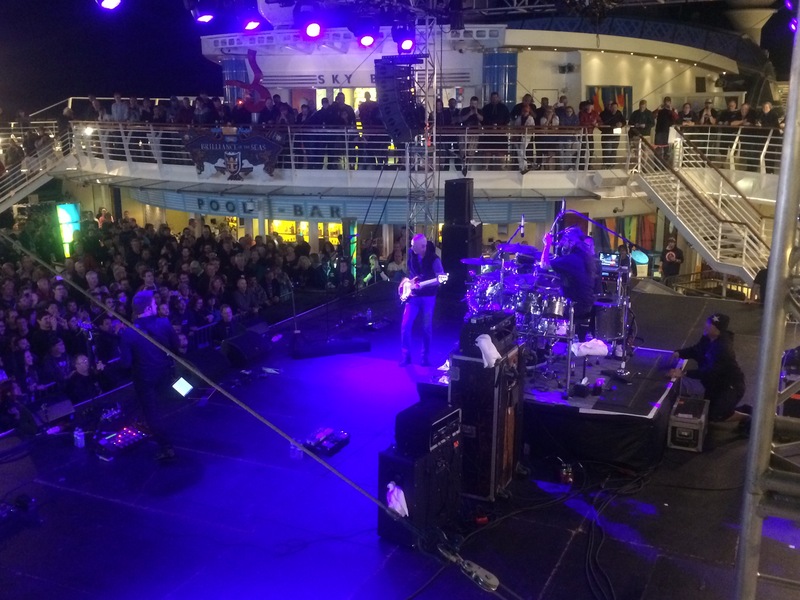 It was particularly moving to look up and see Neal Morse, the original Spock’s Beard songwriter and primary vocalist, on the upper deck, nodding his head and smiling throughout. I headed over to see John Wesley. I talked about seeing John on Monday for his acoustic show, but really, seeing him with his band was just incredible. He had the help of the fantastic Sean Malone on the bass, and the solid drumming of Mark Prager on the drums. John Wesley is such a talented guy in many ways, but he truly has a gift for writing music that showcases his immense talent, but is also deeply human and relatable. I am in love with his new album, so I loved to hear songs like “by the light of a sun”, “a way you’ll never be”, and “the revolutionist” in that setting. I am sincerely hoping that John can tour and share this music in a live setting with the world, because I think he is and has always been an under appreciated talent, and is deserving of much more recognition and respect. 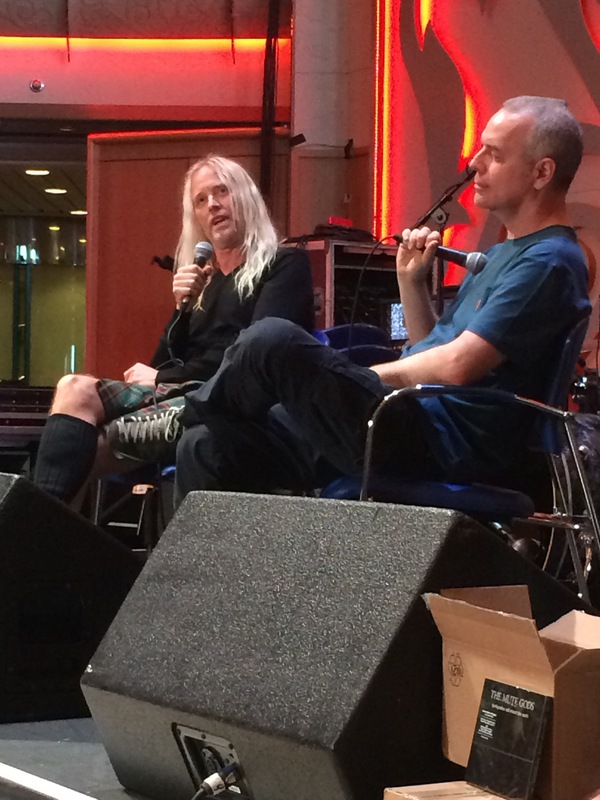 After Wesley’s set, I headed over to catch the Nick Beggs and Roger King Q&A. Both of them play for Steve Hackett, both are freakishly talented, and the two of them form 2/3 of The Mute Gods. This was one of the most fun Q&A sessions, mostly because of the rapport between Roger and Nick. They would slice each other to pieces with their acerbic British wit, and then sincerely compliment each other’s talent. Nick was wearing a kilt, which was the source of about half the jokes. I then saw Frost*. I’ll admit, I’m not as familiar with their stuff, but I am familiar with John Mitchell’s work. Frost* performed a set of well crafted, catchy progressive pop. The only song I recognized was “Milliontown”. The keyboards needed to be restarted a minute or so into the song, so they treated us with a sound sample of an accordion song and an accompanying jig. I’m inspired to look further into Frost* after their excellent set. I decided that I would stick around and see Pain of Salvation again, but only if they played different songs. A couple of bands played mostly identical sets. But Pain of Salvation opened with “On a Sunday”, the brutal opener to their newest album. I decided to stay, and it was the best decision. They played several songs from Remedy Lane and The Perfect Element (“Rope Ends”, “Ashes”, and “A Trace of Blood”), along with some of their newest songs (“Reasons”, “Meaningless”). They closed their set with the same song as last time, “In the Passing Light of Day”, and that gorgeous melody is still stuck in my head, despite the fact that it’s been several hours since I heard it. I am so grateful that I can say that I saw the legendary Pain of Salvation twice in concert. After their set, I headed to Mike Portnoy’s Birthday Bash. There were rumors flying around about what would happen, and most of us turned out to be true – Dream Theater reunited to play with Mike! 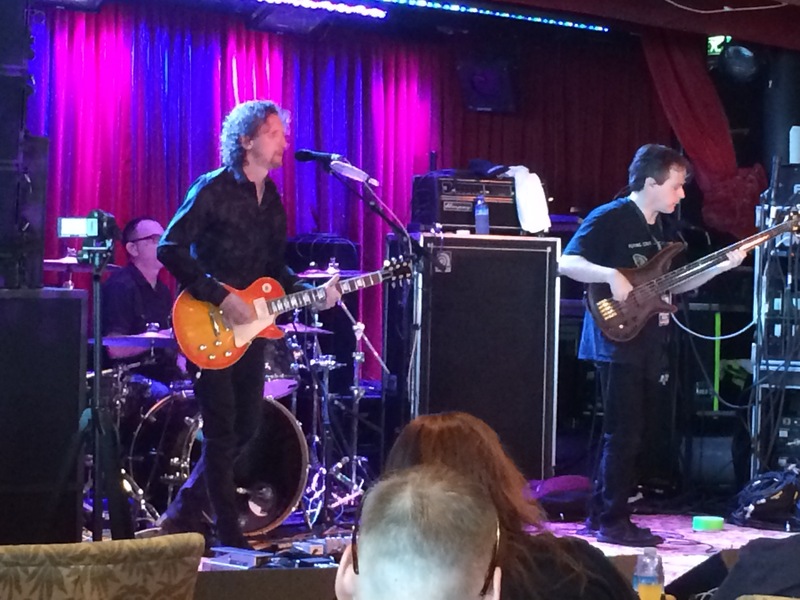 Mike started his birthday by playing some Liquid Tension Experiment, as Levin was also on the boat. 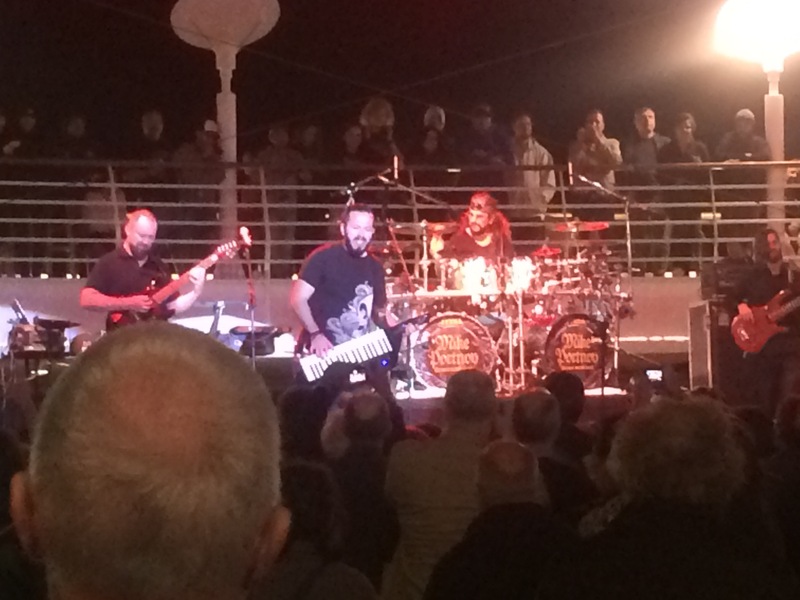 Assuming the roles of Jordan Rudess and John Petrucci were Diego from Haken and Eric Gillette from Neal Morse Band, respectively. They played Liquid Tension Experiment’s best songs- “Paradigm Shift”, “Acid Rain”, and “Universal Mind”. 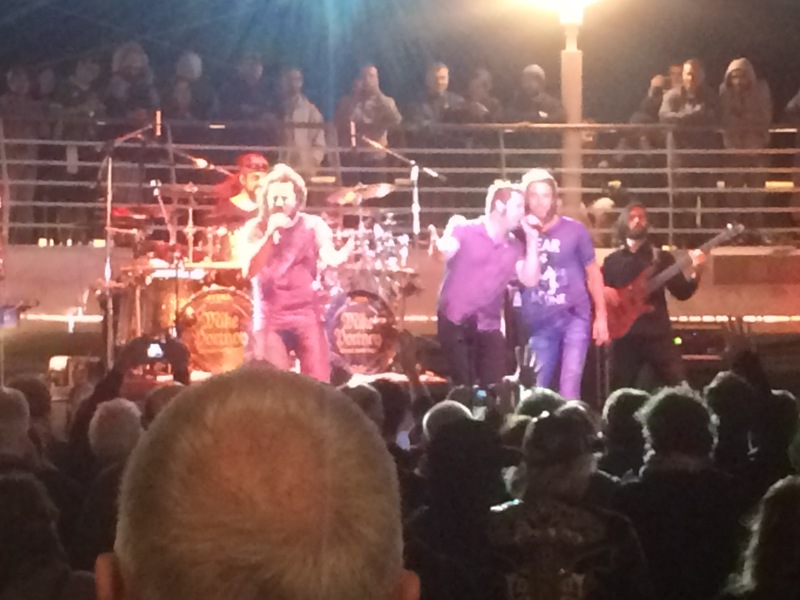 Portnoy then introduced his 12 Step Suite, along with the band that he had asked to play for him. Haken (sans their drummer) came out and assumed the roles of the DT personnel, and there couldn’t have been a better fit. Ross sounded amazing as he sang James’s ridiculously high vocal parts with enthusiasm and energy. To make an awesome performance even more awesome, Daniel Gildenlow was brought out to sing “This Dying Soul”, and Ted Leonard sang “The Root of All Evil”, so we were treated to 3 legendary vocalist’s take on the source material. 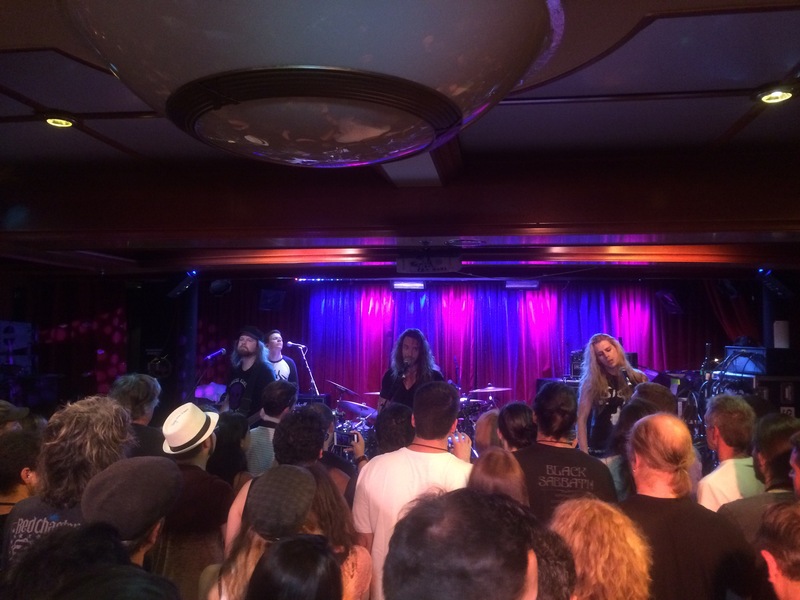 On the previously unreleased last section of the 12 Step Suite, Ted, Ross, and Daniel joined the band onstage and sang the final, previously unheard lyrics to a really enthusiastic crowd. Diego, Ross, and Eric were the stars of this performance. Eric Gillette was introduced as John Petrucci Jr., and he lived up to that title and more. Diego and Ross have made quite the name for themselves with Haken, so I’ll just say that they did a pretty near perfect job. However, I think that Eric Gillette is a star, but in the next couple years, he will become even more of a star. I hadn’t heard him play outside of The Neal Morse Band, but I am coming away highly impressed with his skills both as a singer and instrumentalist. I’ll have to check out his solo stuff, and if it turns out his original stuff his good…watch out, world, for Eric Gillette. I have so much more to say, but it’s late and I am tired, so I am signing out for tonight. Love to all of you. -Thomas. 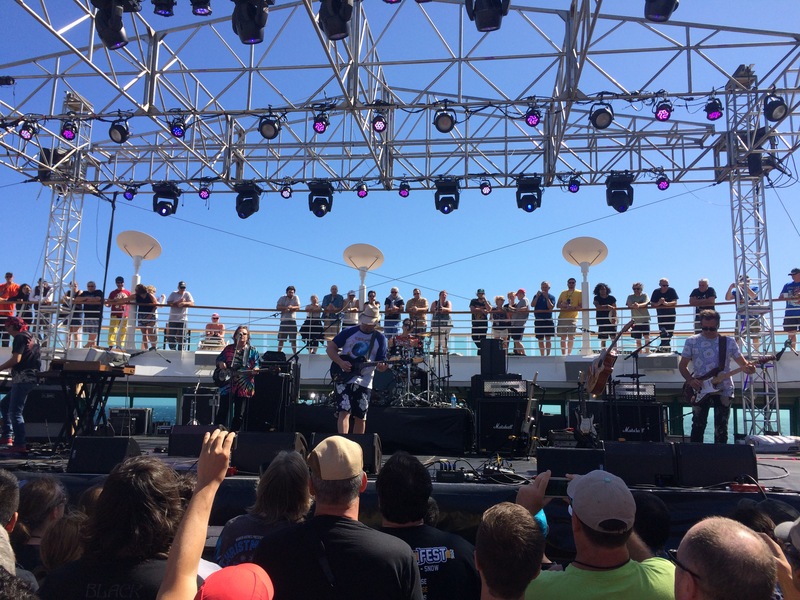 Tags: cruise to the edge, daniel gildenlow, frost*, haken, John Wesley, liquid tension experiment, nick dvirgilio, pain of salvation, spock's beard, steve hackett. Bookmark the permalink.